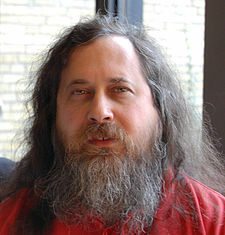 Richard M. Stallman more fondly known as RMS, is one the most influential technology thinkers of our time. Founder of the Free Software Foundation (FSF) , he is the author of the GNU Public License(GPL); the most popular Free Software License around. Status and history of the GNU operating system, now used by tens of millions of users world-wide. RMS was in Sri Lanka from the 14th to the 19th of January 2008. 18th January | 10.00 am | SLIIT Auditorium, Malabe. 18th January | 4.00 pm | UCSC, Roof Top, Colombo. 11 00 – 11 10 Arrival of the Richard M Stallman, Founder of the Free Software Foundation, followed by Drum display.